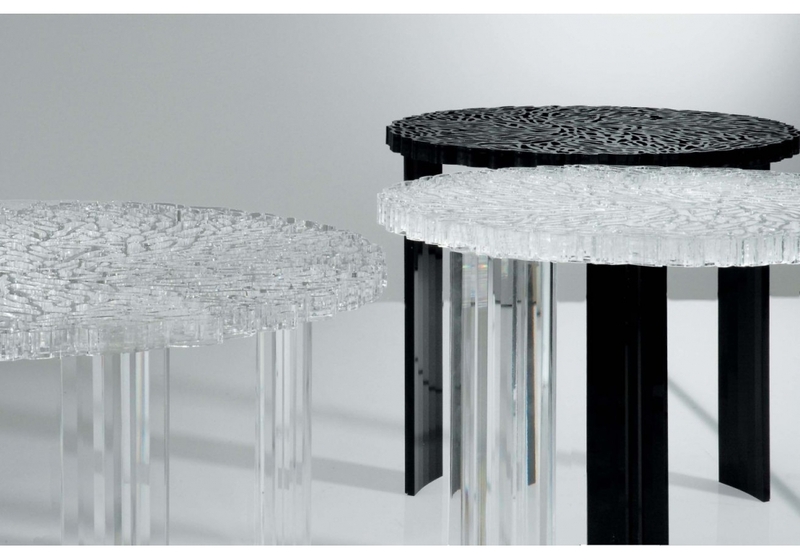 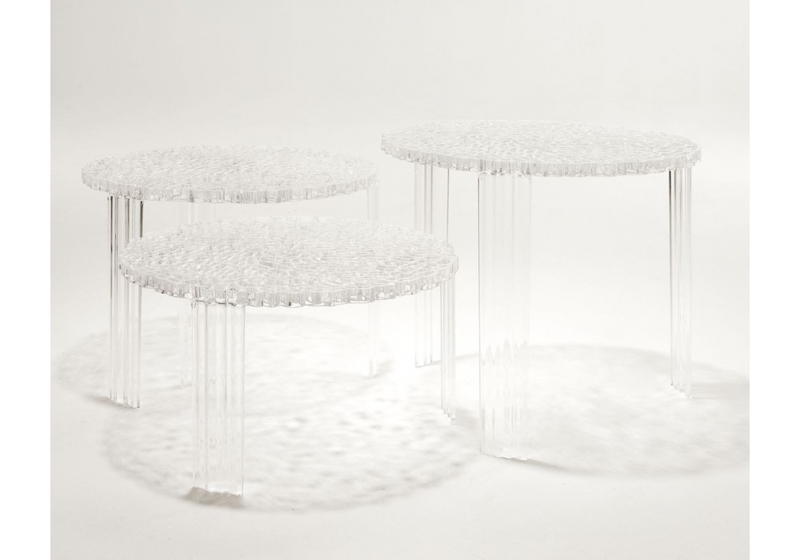 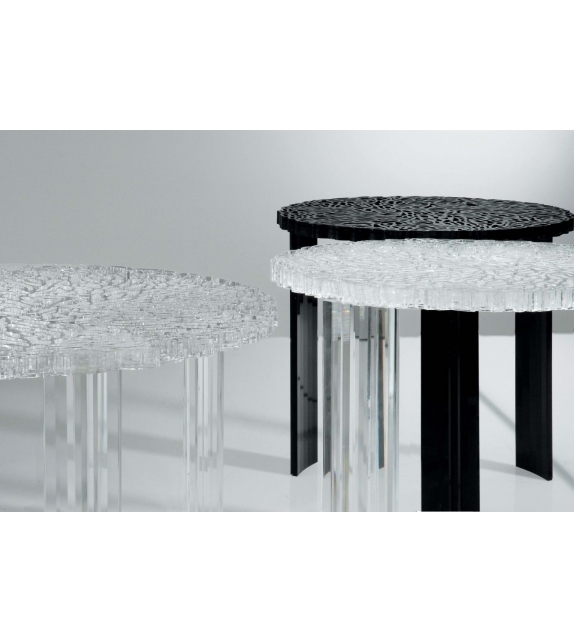 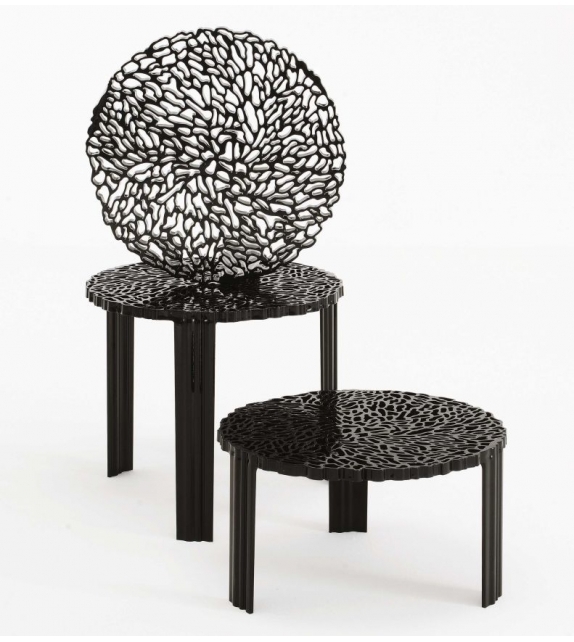 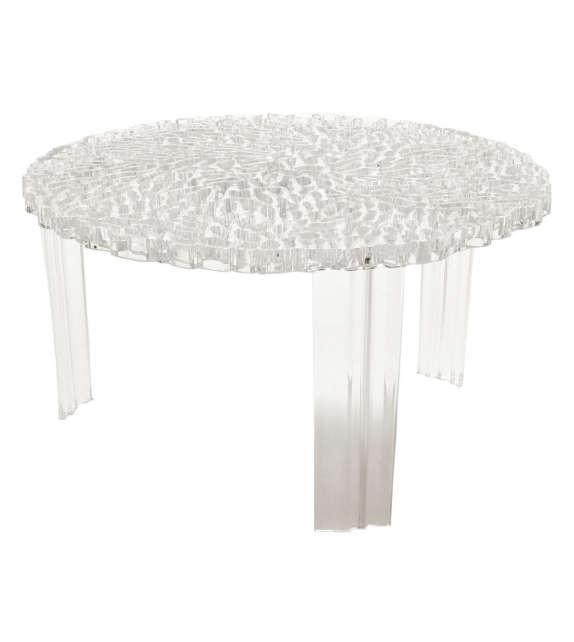 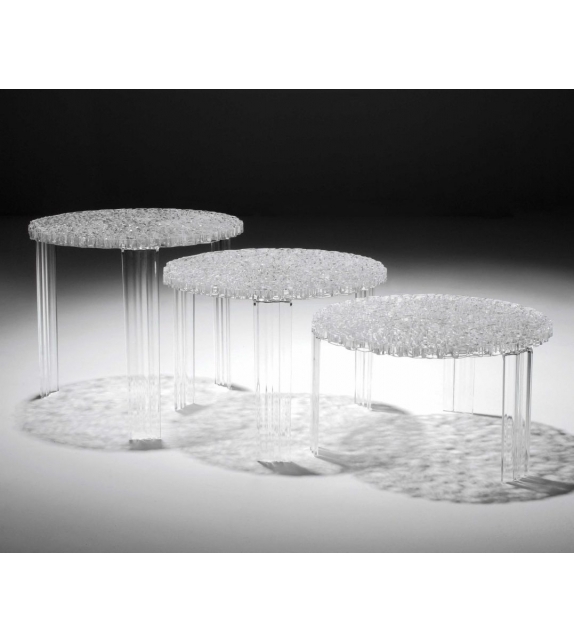 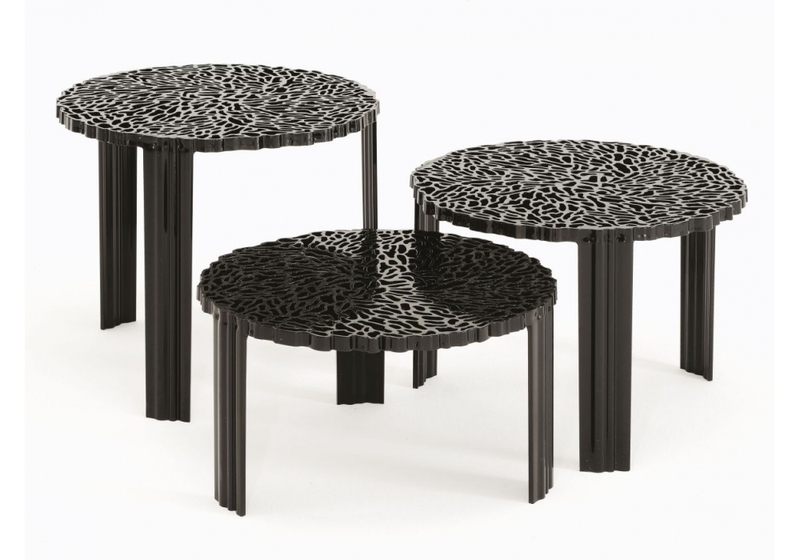 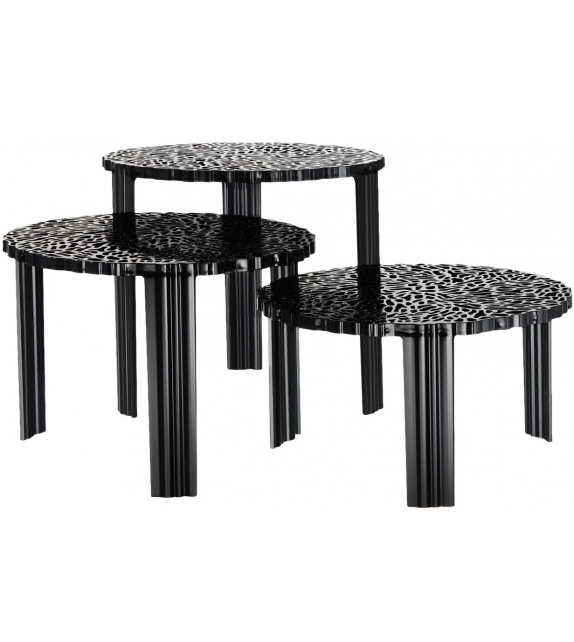 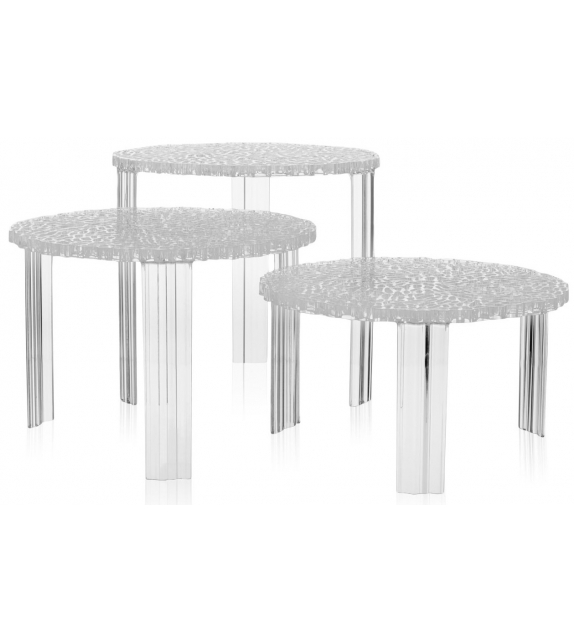 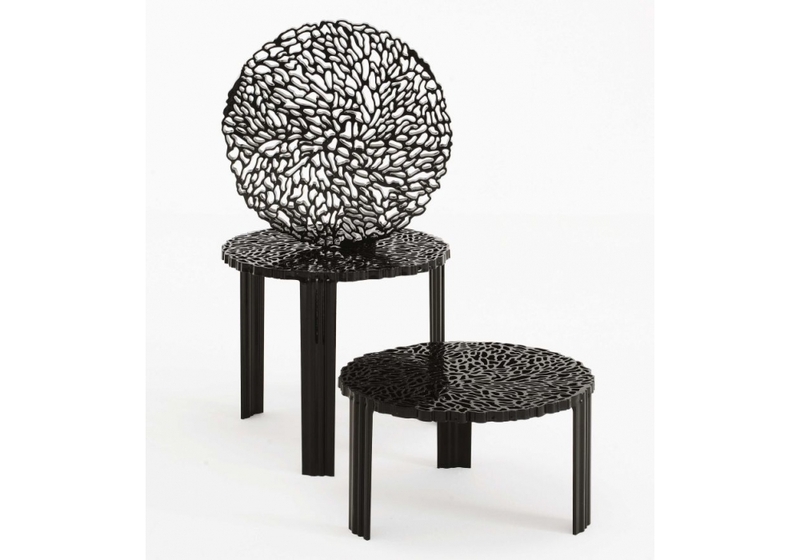 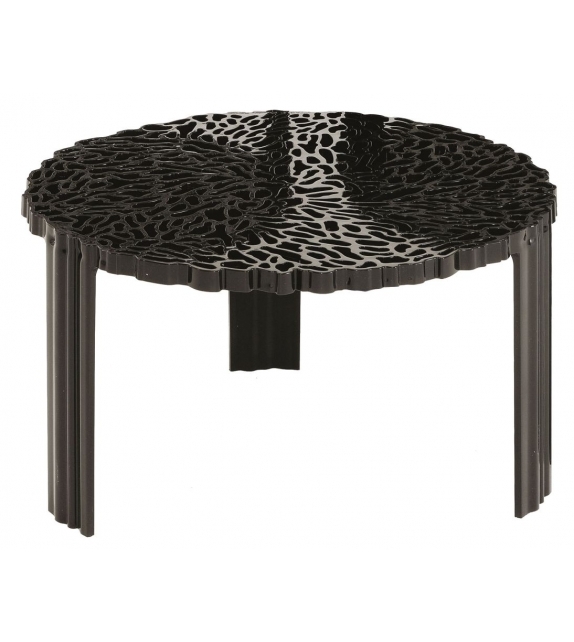 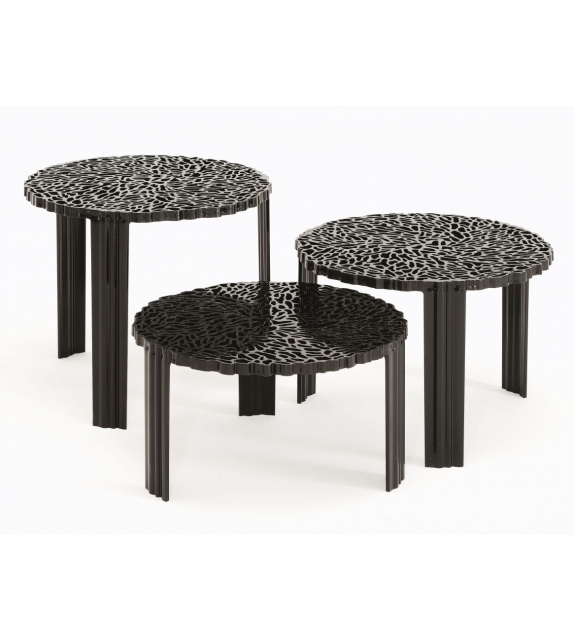 T-Table is a coffee table designed by Patricia Urquiola for Kartell. 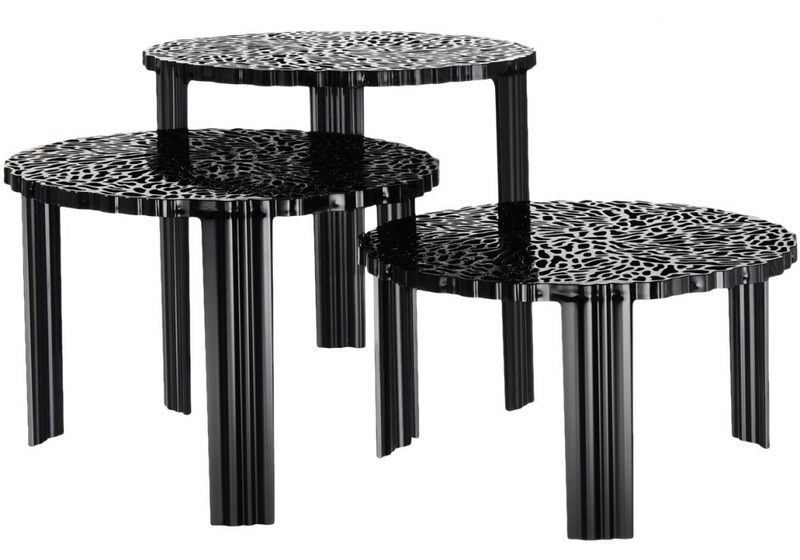 This line of tables originated from the creativity of Patricia Urquiola combined with Kartell’s capability and technological know-how. 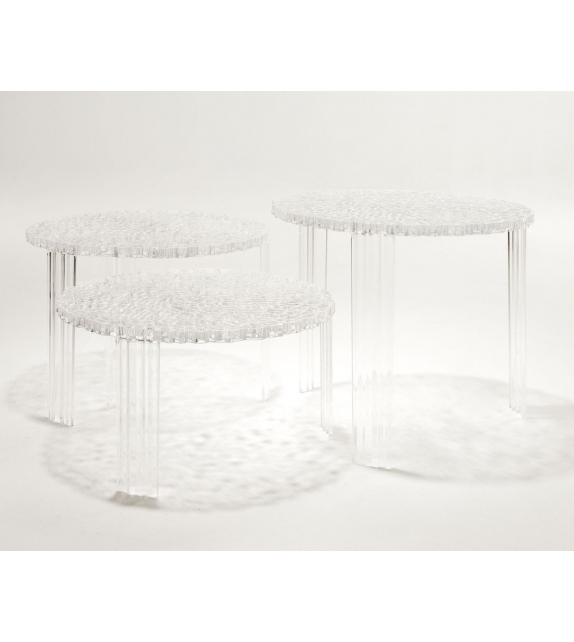 The surface of the T-table top alternates fullness and space to create an elegant and precious effect which is reminiscent of embroidery. 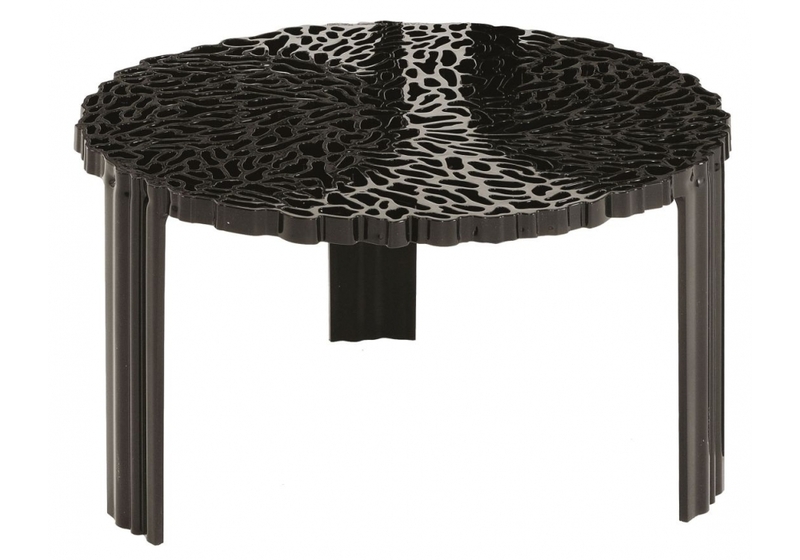 T-Table is a coffee table designed by Patricia Urquiola for Kartell. 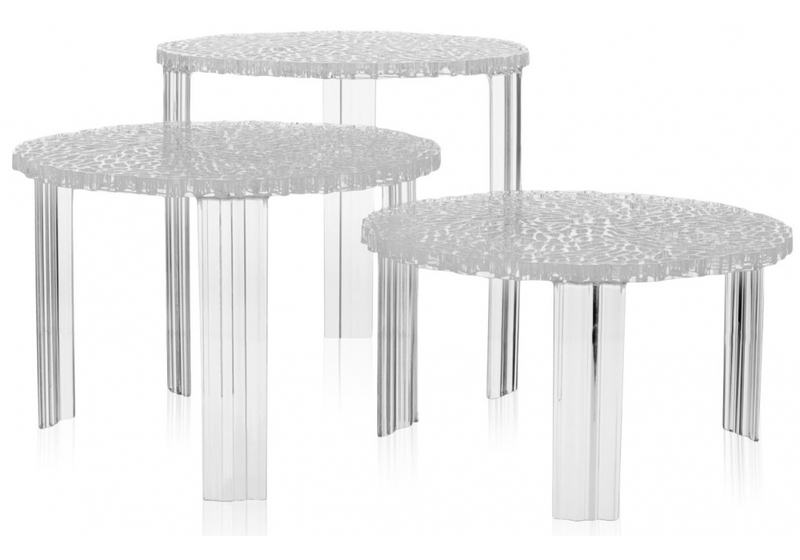 This line of tables originated from the creativity of Patricia Urquiola combined with Kartell’s capability and technological know-how. 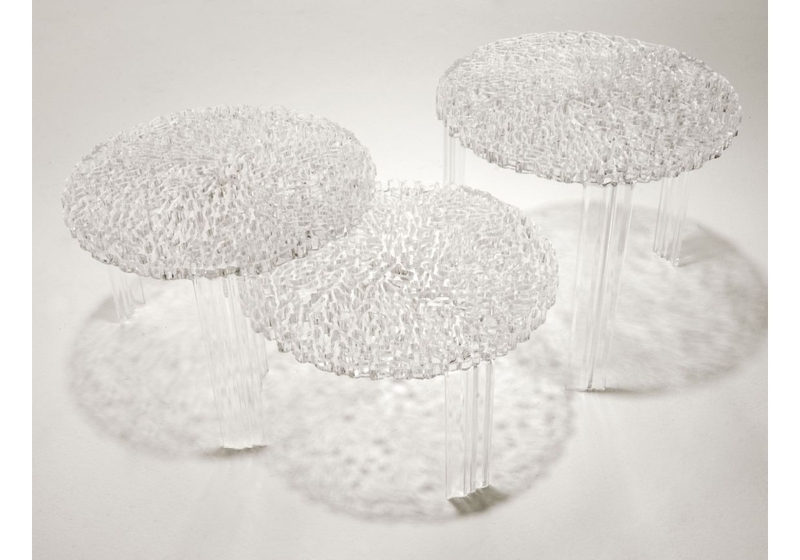 They resulted from the research into innovative surfaces to achieve new visual and tactile effects. 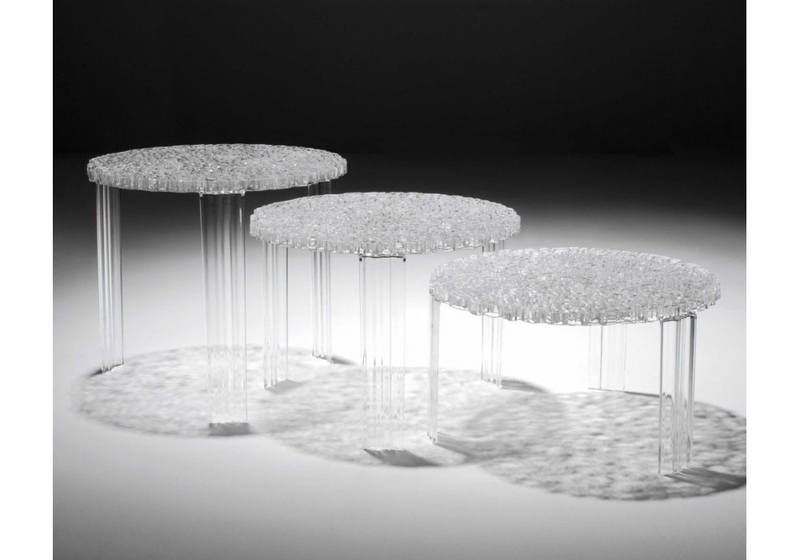 The surface of the T-table top alternates fullness and space to create an elegant and precious effect which is reminiscent of embroidery. 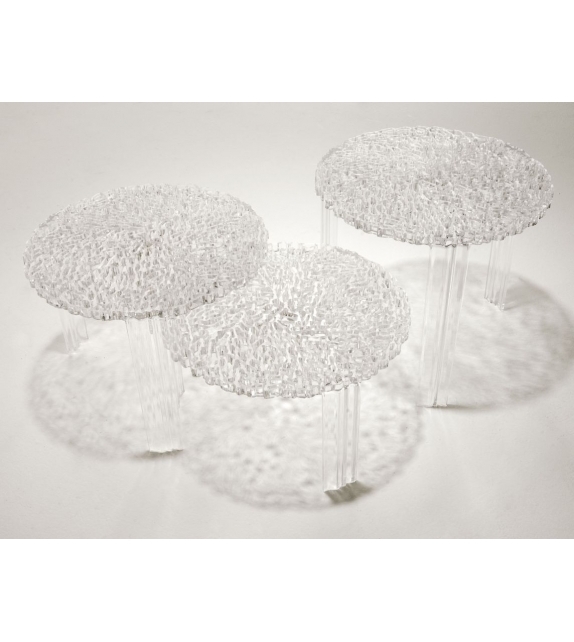 This object expresses very poetic, feminine and extremely elegant born from technological research and experimentation. 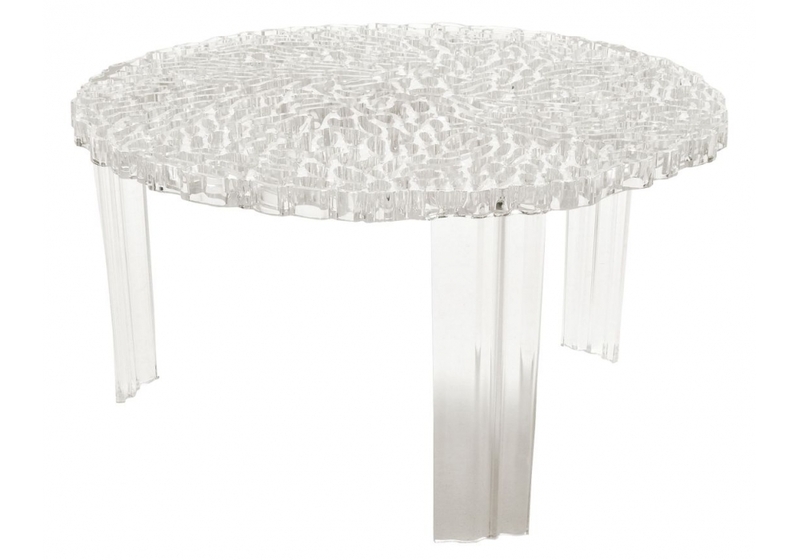 It’s available in a clear transparent version and in a colored one and it comes in three different heights.